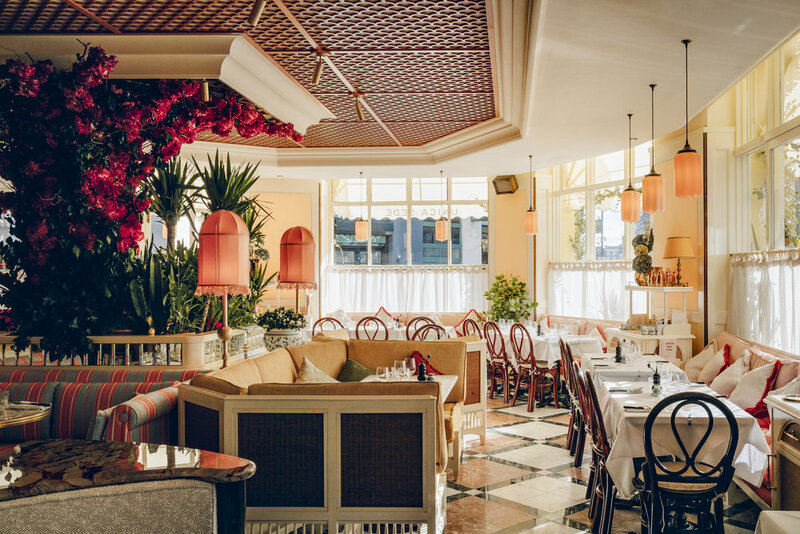 bask in the heat of the summer sun in capri at gloria. gutsy cooking, an energetic crowd and quality wines will have you here until the lights go down for closing time. WHERE: Gloria, 54-56 Great Eastern St, Hackney, EC2A 3QR, London. THE DEAL: A true European dining experience; Italian style food for breakfast, brunch, lunch and dinner inspired by the 1970s Capri brought to Shoreditch by french owners. THE FOOD: Chaotic, exciting, loud and bloody good fun, Gloria will transport you straight to summertime in Italy. Usually a queue would put us off a restaurant, but the crowd outside isn’t your typical self-important city foodies, but more European, ‘messy hair don’t care I just want delicious pizza’ kind of vibes. And as it turns out there’s plenty on the menu to queue for, complete with hilarious descriptions. Come here for dinner (the bar is open until 2am). Dish descriptions are hilarious and a sort of Italian - English Itaglish. For instance a start called culatello con cotenna includes the description ‘9 to ham what Wu-Tang Clan is to hip-hop da Lorenzo Bagatto’. Filippo’s Big Balls (Italian tomato covered meatballs) is a must-order if only for the name. Other brilliant titles on the menu include the 10-level Lasagna, Black Mamba pasta and the YouPorn Neapolitan pizza that is made in the huge Marana oven. Whatever you order, suffice to say it will be delicious and homemade. Fresh Puglian creamy burrata sits in a puddle of the finest extra-virgin olive oil. Soft, fluffy focaccia makes the perfect vehicle to mop it all up with. There are also large bowls of pasta for sharing between two; big comforting, creamy forkfuls of carbonara or spicy, soft lamb to munch down gleefully. If you have room for dessert then a big slice of sweet and sour lemon meringue pie or a few scoops of green pistachio gelato should do the trick. Wash it all down with wine and maybe a cocktail. The bar menu spans drinks like Colada Me Later or a flaming version of the classic colada. The warm and cosy wine room is packed with bottles from the best winemakers of Piemonte. Safe to say you won’t be a dry house. FYI: Brunch-time here is also a joy, with savoury and sweet breakfast classics as well as the usual pizza and pasta. THE PRICE: Focacia £3, Puglian Burata £12, Filippo’s Big Balls £14, Vegan delight £12, Polpo salad £13, YouPorn Pizza £13, Mammargherita Di Bufala £11, The 10 Level Lasagne £13, Carmina Burrata £11, La Gran Carbonara for two £16 p.p. Desserts: £6. Wine: glasses start at £5, cocktails from £6.5-9. PAY BY: Card and cash. BEST FOR: Avoiding uptight fine-dining but still eating like a king (or queen).